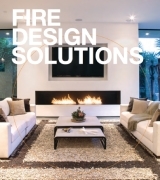 Are you looking for Designer Fireplaces? 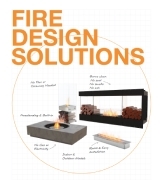 Considered one of the most compact of EcoSmart Fires' ethanol fireplaces, Cube is a square-shaped freestanding fireplace suited to a range of interiors including units, apartments, offices, bars and restaurants. 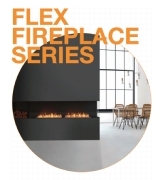 Cube’s self-contained simplicity makes it an ideal heating solution for tenants seeking a portable fireplace free from the restrictions of gas and electricity connections. The Cube complies with the ACCC Safety Mandate. Compact, portable design makes it easy to relocate when moving home or reconfiguring office furniture. The square fascia and the Cube's sleek surrounds are enhanced by a stainless steel shadowline. Purpose-built tank houses the liquid bioethanol fuel, which means no need for restrictive cables or gas connections. 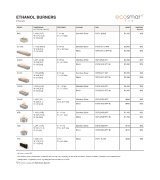 Easy flame control allows you to regulate the amount of heat being generated, and therefore the quantity of fuel consumed. A portable piece of designer furniture that can you can buy today, and light tonight. Virtually no installation required. Clean-burning, environmentally friendly e-NRG bioethanol creates heat and a small amount of water vapour and steam, so there is no need for a chimney or flue.